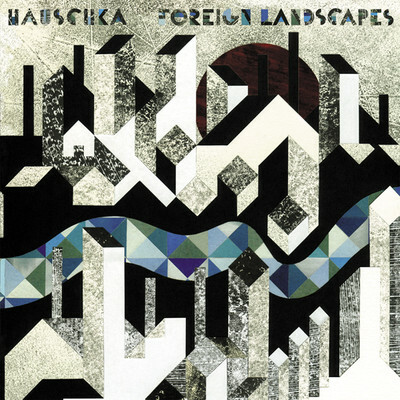 “Electronic avant-garde” is what Germany’s Hauschka is lazily dubbed. This may have been an appropriate tag for his first solo album, 2007’s Room To Expand, but on his second, 2008’s Ferndorf, he stuck strictly to his piano, pushing his music into classical territory. With the accompaniment of orchestral elements, the pianist/composer’s latest full-length, Foreign Landscapes, falls squarely into the classical world. “Madeira” relies heavily on a low, thrumming cello and high-strung violins, leaving the piano out of the mix entirely. “Early In The Park” brings the piano back to the center, giving the tune a melancholy air. “Kamogawa” is a blend of the two, in which the piano-driven melodies are intercut with sharp stabs of violins and a muted flute. Far more than Hauschka’s instrument, the piano, it is these powerful strings and emotive winds — provided by San Francisco’s Magik Magik Orchestra — that define Landscapes. In fact, Hauschka’s cool trick of using what is not much more than trash (i.e. bottle tops, felt wedges, foil, tape) to modify the sounds of his piano doesn’t figure largely into the urgent and driving tone of the album. After the jump, check out a video of Hauschka in performance, courtesy of BeatCast. Buy this at Other Music or iTunes.